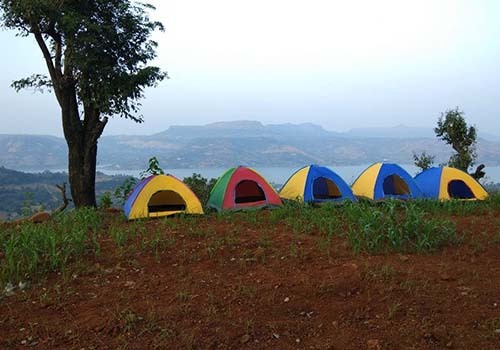 The campground is located at hilltop farmland which gives the beautiful top view of Pawana lake. 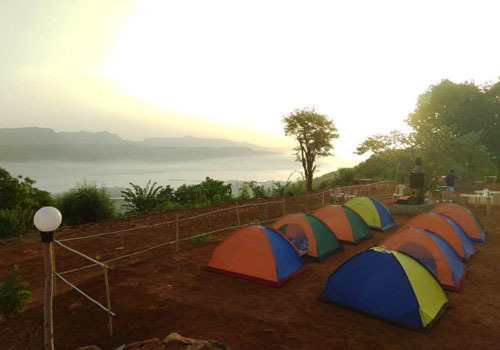 Our campground is isolated and far from the city yet fulfilled with the basic amenities. 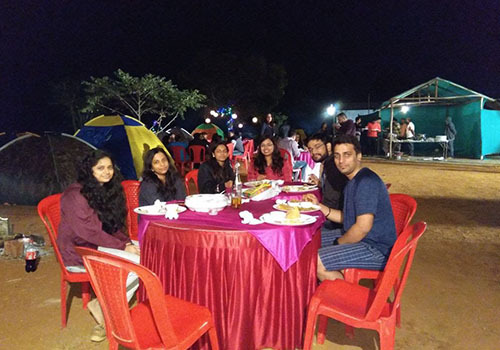 One can relax at the edge and enjoy the fresh air of Lonavala on 31st Dec evening. One can wake up to beautiful sunrise of the New Year and enjoy hot tea on top of Machan. 05:00 pm: Evening snacks and hot tea will be served once you fresh-n-up. One has to carry bags and belongings to the tents pitched on the campground. 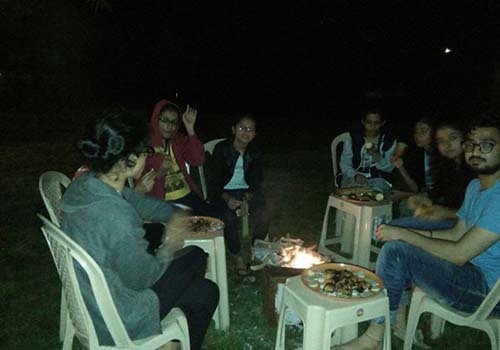 Once you settled down, it’s up to you how much you can enjoy the nature on 31st Dec evening. 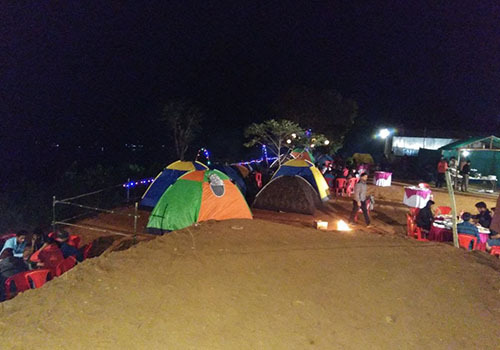 After the sunset, campsite will lit up and one can feel the cold breeze of Pawana Lake. And that’s the best time to start the New Year Celebration party. 09:00 pm: Delicious dinner (Veg/Non-Veg) will be ready at the dining area. 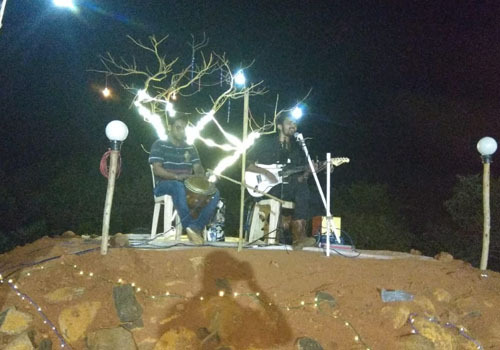 9:30 pm: One can enjoy late night dance floor with Outdoor Music System amidst nature. ● Free parking at the campsite. ● 3 Common Western Toilet available at the campsite. - We will provide you BBQ raw material, BBQ net, screw n coal. You have to prepare it on your own. One can order extra with additional cost.